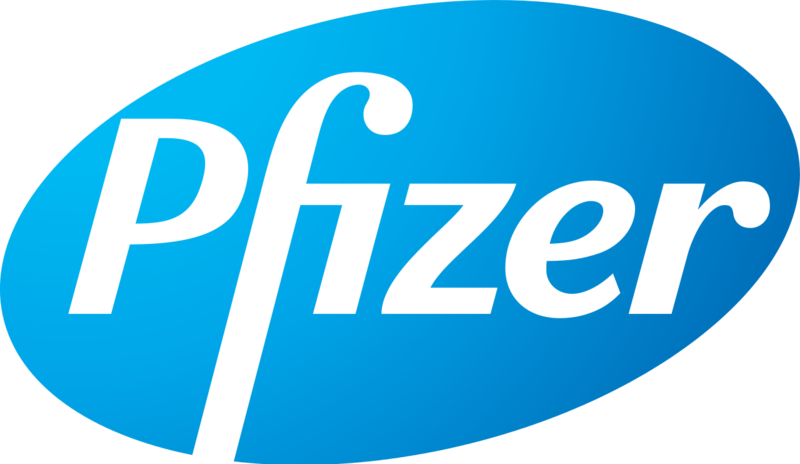 Pfizer Inc. (NYSE:PFE) today announced that it has completed the acquisition of the development and commercialization rights to AstraZeneca’s late-stage small molecule anti-infective business, primarily outside the United States. The agreement includes the commercialization and development rights to the newly approved EU drug Zavicefta™ (ceftazidime-avibactam), the marketed agents Merrem™/Meronem™ (meropenem) and Zinforo™ (ceftaroline fosamil), and the clinical development assets aztreonam-avibactam (ATM-AVI) and CXL. Zavicefta specifically addresses certain multi-drug resistant Gram-negative infections, including those resistant to carbapenem antibiotics, one of the most significant unmet medical needs in bacterial infections treated with hospital anti-infectives. “The addition of AstraZeneca’s complementary small molecule anti-infectives portfolio enhances our global expertise and offerings in an increasingly important area of therapeutics that addresses the public health needs of patients and healthcare professionals. Additionally this acquisition is an example of how we are focusing our investments to drive sustainable revenue growth potential for our Essential Health business,” said John Young, group president, Pfizer Essential Health. Indication: Zinforo was launched in October 2012 and is an intravenous cephalosporin antibiotic intended for use as a monotherapy in the treatment of adult patients with complicated skin and soft tissue infections (cSSTI) or community-acquired pneumonia (CAP). Zinforo is bactericidal and works by binding to and inhibiting penicillin-binding proteins (PBPs). Zinforo has been designed with a specific and novel mode of action which contributes to its bactericidal activity against the common causative pathogens of cSSTI, and shows a high affinity for particular PBPs in MRSA in cSSTI and Streptococcus pneumoniae in CAP. Zinforo has now been approved in 52 markets and launched in 32 markets. Pfizer holds the global rights to commercialize Zinforo, with the exception of North America (U.S. and Canada) and Japan, where the rights are held by Allergan Pharmaceutical Industries Limited and Takeda Pharmaceutical Company Limited, respectively. Indication: Zavicefta (ceftazidime-avibactam) is a combination antibiotic that has been developed to treat serious Gram-negative bacterial infections. It consists of a combination of avibactam and ceftazidime – a third generation antipseudomonal cephalosporin with a well-established efficacy and safety profile. Avibactam is a first-in-class broad-spectrum ß-lactamase inhibitor, which protects ceftazidime against degradation by Class A, C and some D, ß-lactamases. The addition of avibactam to ceftazidime protects ceftazidime from breakdown by ß-lactamases. Zavicefta offers a differentiated profile versus existing treatment options in serious Gram-negative infections through its coverage of a broad range of species of Enterobacteriaceaeincluding those that produce extended-spectrum beta-lactamase and Klebsiella pneumonia carbapenemase, together with activity against difficult-to-treat P. aeruginosa. Indication: Merrem/Meronem is a carbapenem anti-bacterial used for the treatment of serious infections in hospitalised patients. Meronem is a broad spectrum agent indicated for the treatment of a wide variety of serious bacterial infections in adults and children, including pneumonia, community acquired pneumonia and nosocomial pneumonia; broncho-pulmonary infections in cystic fibrosis; complicated urinary tract infections; complicated intra-abdominal infections; intra- and post-partum infections; complicated skin and soft tissue infections; and acute bacterial meningitis in adults and children over 3 months of age. In the U.S., Merrem is indicated as single agent therapy for the treatment of intra-abdominal infections and bacterial meningitis when caused by susceptible strains of the designated microorganisms in adult and pediatric patients. Pfizer holds the global rights to commercialize Merrem, with the exception of Japan, China, Taiwan, Korea, Thailand, the Philippines, Malaysia, Singapore, Vietnam and Hong Kong where the rights are held by Sumitomo Dainippon Pharma Co., Ltd. Indication: ATM-AVI is a bactericidal, injectable combination of aztreonam (ATM) and a ß-lactamase inhibitor, avibactam (AVI, NXL104), which is in development for the treatment of life-threatening Gram-negative bacterial infections caused by multi-drug resistant (MDR) strains, including infections caused by metallo-beta-lactamase (MBL)-producing pathogens. ATM-AVI has the potential to be a replacement for, or alternative to, existing antibacterial agents, including colistin and tigecycline. ATM-AVI has completed its Phase I studies and is currently in Phase II development. Pfizer holds the global rights to commercialize ATM-AVI, with the exception of North America (U.S. and Canada), where the rights are held by Allergan. Indication: CXL is a novel, injectable bactericidal ß-lactam/ß-lactamase inhibitor combination of ceftaroline fosamil (marketed as Zinforo in AstraZeneca markets), a next-generation cephalosporin with activity against multidrug-resistant Gram-positive and common enteric Gram-negative pathogens, and avibactam (AVI, NXL104), a potent ß-lactamase inhibitor that inhibits Ambler Class A (including ESBL producers and KPC carbapenemases), Class C (Amp C) ß-lactamase enzymes, and some Class D ß-lactamase enzymes. Pfizer holds the global rights to commercialize CXL, with the exception of North America (U.S. and Canada), where the rights are held by Allergan. At Pfizer, we apply science and our global resources to bring therapies to people that extend and significantly improve their lives. We strive to set the standard for quality, safety and value in the discovery, development and manufacture of health care products. Our global portfolio includes medicines and vaccines as well as many of the world’s best-known consumer health care products. Every day, Pfizer colleagues work across developed and emerging markets to advance wellness, prevention, treatments and cures that challenge the most feared diseases of our time. Consistent with our responsibility as one of the world’s premier innovative biopharmaceutical companies, we collaborate with health care providers, governments and local communities to support and expand access to reliable, affordable health care around the world. For more than 150 years, we have worked to make a difference for all who rely on us. We routinely post information that may be important to investors on our website at www.pfizer.com. In addition, to learn more, please visit us on www.pfizer.com and follow us on Twitter at @Pfizer (link is external) and @Pfizer News (link is external), LinkedIn (link is external), YouTube and like us on Facebook at Facebook.com/Pfizer (link is external). DISCLOSURE NOTICE: The information contained in this release is as of December 23, 2016. Pfizer assumes no obligation to update forward-looking statements contained in this release as the result of new information or future events or developments. This release contains forward-looking information related to Pfizer and the acquisition of AstraZeneca’s small molecule anti-infectives business by Pfizer that involves substantial risks and uncertainties that could cause actual results to differ materially from those expressed or implied by such statements. Forward-looking statements in this release include, among other things, statements about the potential benefits of the acquisition, anticipated growth rates, Pfizer’s plans, objectives, expectations and intentions, the financial condition, results of operations and business of Pfizer and AstraZeneca’s late-stage small molecule anti-infectives portfolio. Risks and uncertainties include, among other things, risks related to the ability to realize the anticipated benefits of the acquisition, including the possibility that the expected benefits from the acquisition will not be realized or will not be realized within the expected time period; the risk that the businesses will not be integrated successfully; disruption from the transaction making it more difficult to maintain business and operational relationships; negative effects of this announcement or the consummation of the acquisition on the market price of Pfizer’s common stock and on Pfizer’s operating results; significant transaction costs; unknown liabilities; the risk of litigation and/or regulatory actions related to the acquisition; other business effects, including the effects of industry, market, economic, political or regulatory conditions; future exchange and interest rates; changes in tax and other laws, regulations, rates and policies; future business combinations or disposals; the uncertainties inherent in research and development, including, among others, the ability to meet anticipated trial commencement and completion dates and regulatory submission dates, as well as the possibility of unfavorable clinical trial results, including unfavorable new clinical data and additional analyses of existing clinical data; whether and when any drug applications may be filed in any jurisdictions for ATM-AVI or CXL; whether and when regulatory authorities may approve any such applications, which will depend on its assessment of the benefit-risk profile suggested by the totality of the efficacy and safety information submitted; decisions by regulatory authorities regarding labeling and other matters that could affect the availability or commercial potential of any of AstraZeneca’s late-stage small molecule anti-infectives assets; the commercialization of Zavicefta; and competitive developments. A further description of risks and uncertainties can be found in Pfizer’s Annual Report on Form 10-K for the fiscal year ended December 31, 2015 and in its subsequent reports on Form 10-Q, including in the sections thereof captioned “Risk Factors” and “Forward-Looking Information and Factors That May Affect Future Results”, as well as in its subsequent reports on Form 8-K, all of which are filed with the U.S. Securities and Exchange Commission and available at www.sec.gov (link is external) and www.pfizer.com. The proposals set forth in this message are subject to compliance with all local legal and regulatory obligations, including the obligation to inform and or consult with labor organizations, works councils, trade unions and employee representatives.